Even before I stared my love affair with fashion and blogging there have been a few such things that have inspired me towards it. I fould my love for fashion and writing through the pages of Femina and the first beauty product I brought was from L'Oreal Paris. So, when these two power house of inspiration and innovation decided to join forces to celebrate and honour women who have not just achieved by left a huge impact and brought about change in other people's lives, I really wanted you all to know about this amazing award and well as be a part of it too. Thanks to the 'Readers' Choice' section, we all can be a part of it and cast our vote for our fave nominee. 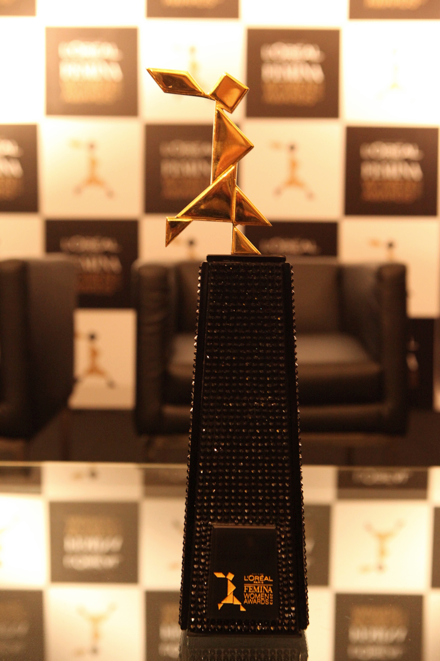 The L’Oréal Paris Femina Women Awards is all about felicitating women who have made a difference. Women who have stood up for a cause that’s closer to their hearts; whose efforts have brought smiles on faces of many, and who have helped others lead a better life. Honouring women with extraordinary accomplishments, outstanding leadership qualities and exceptional commitment to their careers and communities; the L’Oréal Paris Femina Women Awards will have 17 categories including science, business, entrepreneurship, sports, art, education, television, and music, among others. There are three categories in the L’Oréal Paris Femina Women Awards. Along with 'Editor’s Choice' and 'Jury', we the reader are empowered to pick our fave by voting in the 'Readers’ Choice' section. To insure your favourite woman and her cause win, please cast your vote. Each nominee has done something outstanding and remarkable in her field. They all have contributed to society and their works have left a lasting impact in our minds. And as much as I would like to select everyone of them as my pick for winner, the women I have chosen have inspired me with their works and words. Some have found a way to turn the negative in their own life to positive use. Some have chosen to speak on issues where others have stayed silent for long. All my picks are women who inspire me and whom I look up too. These women of worth have made amazing things happen. They have empowered others through their initiatives and innovations. As friends and readers of Fashionopolis, I would really appreciate it if you could join me in this cause and vote for your favourite nominee as well. What better way to celebrate womanhood than to support these wonderful ladies and their noble cause.